The book is the first comprehensive account by a Pakistani Foreign Minister who directly contributed in moving the peace process with India forward. This was hailed as the most promising dialogue between Pakistan and India since Independence. It provides a detailed analysis of the Kashmir issue and the complex Pakistan-US-Afghanistan-India quadrangular relationship. 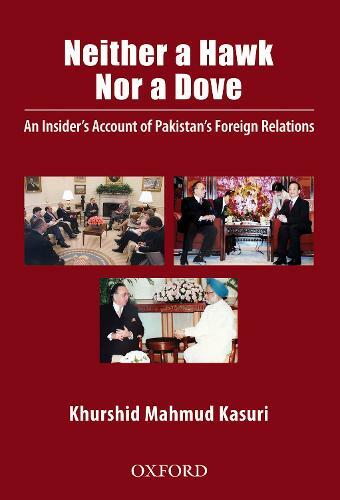 Kasuri believes that, whenever two statesmen are at the helm in India and Pakistan, for improvement of relations, they would have to revert to the framework formulated during the author's tenure as Foreign Minister. The author speaks frankly about his Indian counterparts, Pranab Mukherjee, Natwar Singh, and Yashwant Sinha, and also about Manmohan Singh and Atal Bihari Vajpayee. Rare insights are provided into the workings of the Pakistan Army, the contributions of the Foreign Office, and the author's warm but complex relationship with President Pervez Musharraf. He also writes about Pakistan's vitally important and close relations with China, Saudi Arabia, Turkey, and Iran. On Bangladesh, his comments reflect great nostalgia for old connections. The narrative is intricately balanced with the author providing interesting anecdotes, both personal and political, alongside his observations on serious issues. Importantly, on foreign policy matters, he has shown objectivity in dealing with those on the other side of the political divide.